The Ohio Pharmacists Association (OPA) announced last month that Emlah Tubuo, R.Ph., PharmD of Powell, is the 2018 recipient of the Distinguished Young Pharmacist Award. The Distinguished Young Pharmacist Award recognizes a pharmacist who has graduated in the last 10 years and made significant contributions to the profession of pharmacy. The award is sponsored by Pharmacists Mutual Insurance Company. Tubuo is assistant pharmacy leader for The Kroger Company, practicing at the Short North Kroger Pharmacy in Columbus, where she helped develop a successful immunization program and medication therapy management program for their patients. She is recipient of Kroger’s Leader in Patient Care and Outstanding Mentor awards. 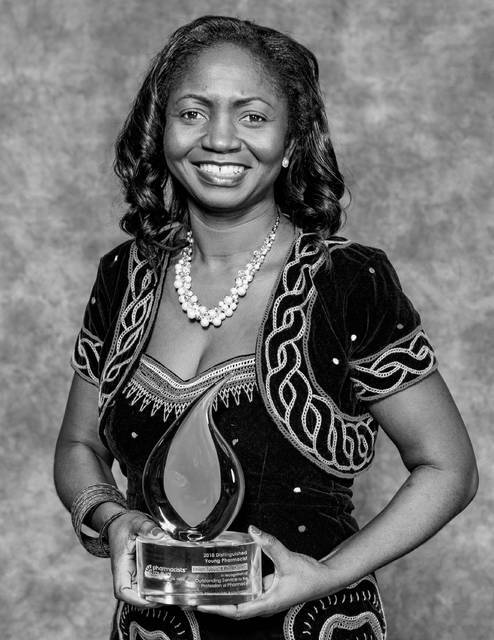 Tubuo earned a doctor of pharmacy degree from The Ohio State University College of Pharmacy. She was awarded OSU’s Preceptor of the Year award in 2016 and the Josephine Sitterle Failer Alumni Award in 2018. “While many young pharmacists have made significant contributions to their communities and to public health as a whole, Emlah Tubuo’s commitment to the profession goes well beyond her work responsibilities. Her passion and respect for patient care development is seemingly limitless,” said Ernest Boyd, OPA executive director. OPA, established in 1879, represents more than 4,000 pharmacists, pharmacy educators, and pharmacy students throughout the state. It is OPA’s mission to unite the profession of pharmacy and encourage interprofessional relations, while promoting public health through education, discussion and legislation.